The File Browser is used to manage files and folders; allowing you to upload files, create new folders and delete and rename existing files and folders. The File Browser is available as a standalone dialog available from the JCE Control Panel, in the Link, Tables and IFrames dialogs, and as a replacement for the Joomla Media Manager in the Joomla Article Manager Images & Links tab. 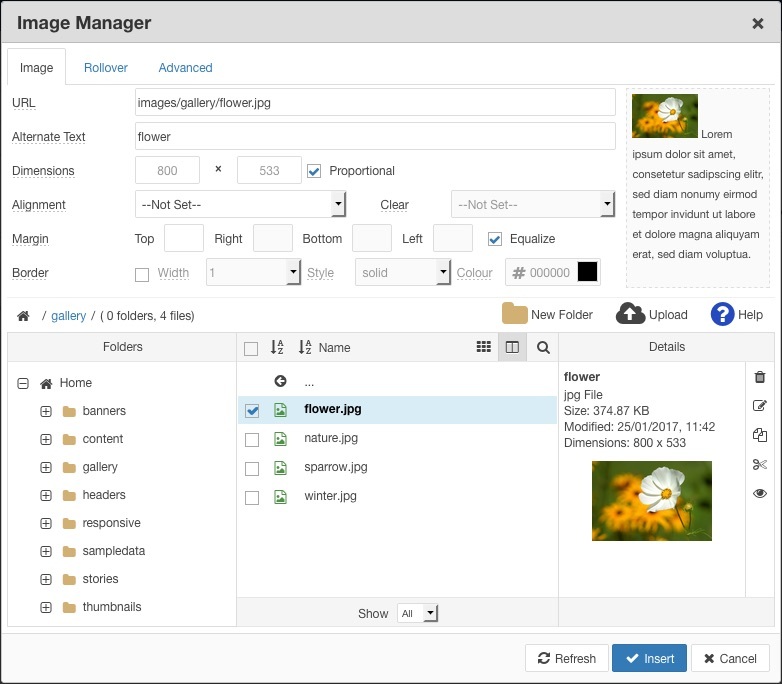 The Image Manager, Image Manager Extended, File Manager, Media Manager and Template Manager all include an integrated version of the File Browser.